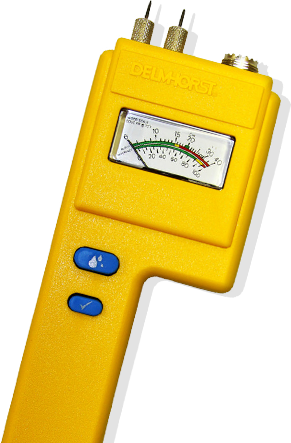 Delmhorst makes a variety of specialty moisture testing devices for agricultural purposes. From soil moisture meters that help improve irrigation efforts, to hay moisture meters for baled and loose hay, and grain moisture meters with more than 250 species corrections, we have the right tools for your needs. Realtors, property managers, and even private owners can benefit greatly from being able to accurately measure moisture in building materials such as concrete, wood, and drywall. 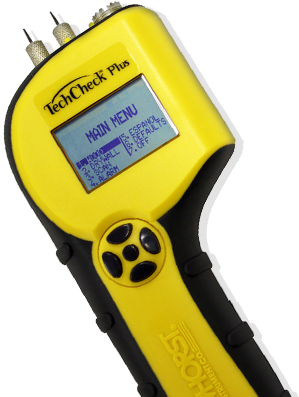 Delmhorst’s specialized building inspection moisture meters help make testing moisture in structures fast, accurate, and easy. Whether you’re a flooring installer or a lumber manufacturer, being able to accurately measure moisture in wood is crucial for maximizing product quality. Delmhorst’s wood moisture meters help you get fast and accurate moisture measurements in wood and flooring products. Restoration experts may be asked to tackle challenges in a wide variety of situations—this means they need versatile tools that can go with them and provide accurate moisture measurements. Delmhorst offers a wide variety of restoration-focused moisture meters, thermo-hygrometers, and accessories that are invaluable for restoration experts. To achieve its ideal strength and finish, the moisture content of leather needs to be strictly regulated. Too much moisture too early could spoil leather before it finishes tanning; too little could make the leather brittle and dry. 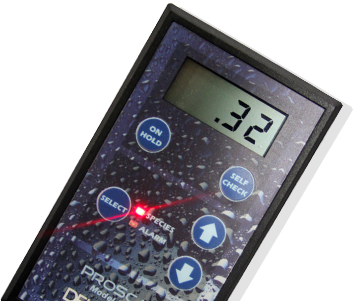 Delmhorst’s leather moisture meter option helps you maintain the perfect balance of moisture in leather. Our moisture transmitters are designed to interface with a data logger or computer. This is often useful for providing continuous monitoring of moisture in wood, cotton, or other materials in a variety of applications. Whether you need to test paper pulp on a mesh conveyor or finished paper to ensure it’s appropriately dry, Delmhorst has the perfect answer to your paper manufacturing moisture testing needs! Our paper moisture meters are built to be used with a rolling-pin style electrode that makes testing moisture in a moving web of pulp easy. 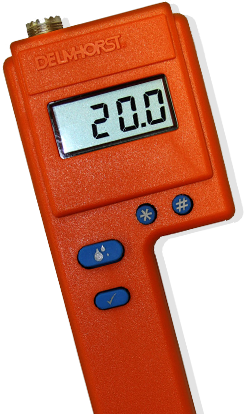 Sometimes, knowing the relative humidity (RH) and temperature conditions at a jobsite are just as important as knowing the actual moisture content of the materials therein. Delmhorst’s thermo-hygrometers and temperature testing tools help you get accurate and reliable RH measurements. If you need help finding the right moisture meter for your needs, contact the experts at Delmhorst today by filling out the form.